Resin Troughs and Vases, Food Safe & Water Tight! When Shell fell in love with Marine Blue! WOW! Ultra fun new technique, pouring two colors and seeing where they meet. No two pieces are alike! Our diverse collection of bath accessories sit nicely in many environments! Another new and unique translucent texture we've created in resin. It sits beautifully in both traditional and modern environments! Our carved texture is made to emulate wood perfectly, but since it's resin it's completely food safe and durable! These new beauties are perfect for any table! Our Circle Bowls range from 10" to 20" Diameter, they sit beautifully in both modern or contemporary settings. Our carved resin texture in espresso defines KMD, made to look like wood, but it's not...durable and completely food safe. Kenny Mack's Resin designs have been delighting consumers and hospitality pro's since 2010. Working primarily in Resin, these designs are handmade, no two pieces are alike. Commercial Grade, Food & Dishwasher Safe, Mack's designs are unlike anything currently seen in the hospitality and home decor industry. Each design is carefully molded by hand. Texture is then added either though intricate blends of color or by carving the molds to look like wood, stone or glass. 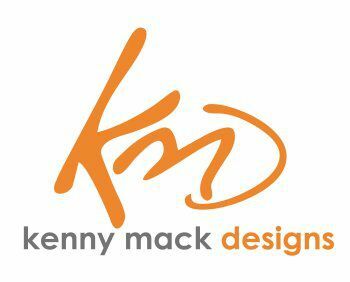 Kenny Mack Resin Designs welcomes you to Functional, Durable Beauty! Not only beautifully unique, our resin is food safe and can be used to serve both cold & room temperature foods. And it's dishwasher safe too! We're really social, are you?